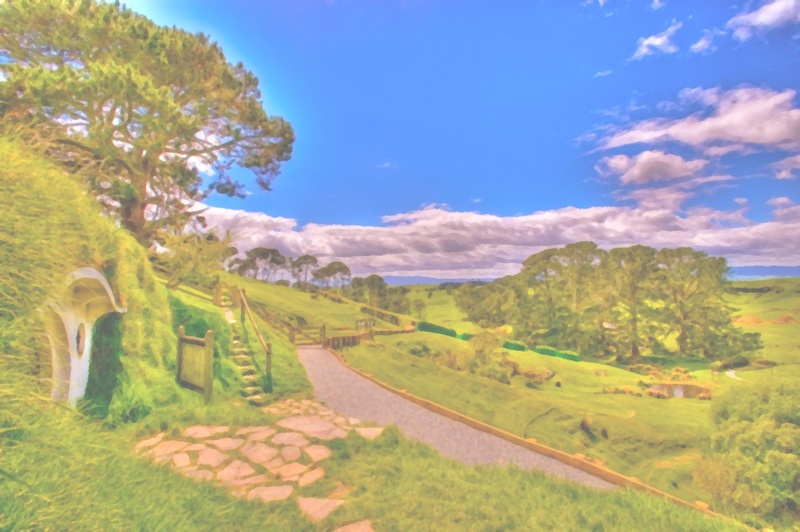 Explanation for the need of new lyrics for two songs on "There Lived A Hobbit"
When I started this project (A musical interpretation of The Hobbit), my goal was to use all my own music and lyrics. I definitely did not want to go through all the legal wranglings that were necessary with my first album, The Lord of the Rings - A Choral Symphony, (a musical treatment of Howard Shore's LOTR score.) However, I thought that for two of the songs (The King Beneath the Mountains and Roads Go Ever Ever On) I would use Tolkien's own, charming text. I researched who I thought had the copyright and sent off a request to use the text. Months went by, I completed my score, recorded, edited it and then I released my album. Then, after a long period of time, I got a letter stating that the publisher no longer had the copyright, but the Tolkien Estate did... knowing their reputation for denying any and all requests to use Tolkien's work... my heart sank. The final song on my album is #12 Roads Go Ever Ever On. This theme for Hobbits (heard in "There Lived a Hobbit" and "Riddles In The Dark") is now heard for the final time. I changed some of the instrumentation and have Bilbo and Gandalf sing a summation of Bilbo's grand adventure... Bilbo's journey has reached its happy and safe conclusion. In the words of Gandalf: "My dear Bilbo! Something is the matter with you! You are not the hobbit that you were." I used the same melody as song #8 "Lake-town", but this time used bassoons to set a more doleful mood. One of the fun activities was the photo booth at TheOneRing.net's Oscar party. They had four scenes to choose from along with various props and wigs. My choice? To go on an adventure! 1. finish my explanation of the songs on my CD "There Lived A Hobbit"